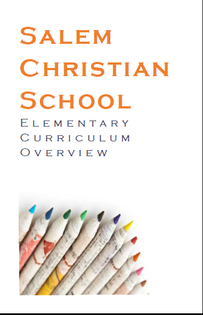 Click here for a copy of the Elementary Curriculum Overview. Students in the elementary grades are in self-contained classrooms with dedicated, caring, and fully qualified teachers. From Kindergarten to the 5th grade, our dedicated and qualified teachers seek to motivate and encourage each child to succeed in mastering the essential learning skills during these foundational years. Biblical truths are integrated in all subjects at every grade level. Every aspect of the curriculum is presented in a Christ-centered environment where we seek to encourage in every child the character traits of diligence, honesty, kindness, and respect. In April, the Terra Nova 3 Achievement Test is administered to students in grades K – 8.